IDesiTV is livestreaming the CNN-IBN coverage of the Mumbai terrorist attack. Twitter feeds are updating fast and furiously. Dina Mehta has posted some important links. Google map of the attacks. 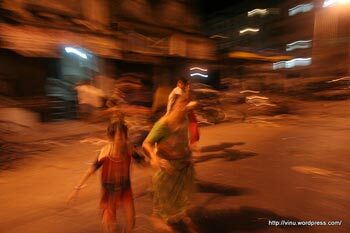 Wikipedia entry on Mumbai attacks. Twingly on the big step towards mainstream for Twitter. “In particular, the Senator was personally interested in the rise of social networking, Facebook, Youtube, and user-generated content, and casually but persistently grilled us on what we thought the next generation of social media would be and how social networking might affect politics — with no staff present, no prepared materials, no notes. He already knew a fair amount about the topic but was very curious to actually learn more,” Marc Andreesen, the co-founder of Netscape, recalls when he met Senator Barack Obama in early 2007. 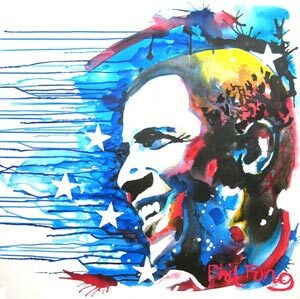 Barack Obama’s ascendancy to the highest office in America is attributed to various factors: one lame-duck president, two unpopular wars, trillions in deficits, foreclosures galore and the quintessential coolness of the man. But the 2008 campaign will be remembered in my mind for one thing: Obama’s seeming omnipresence. 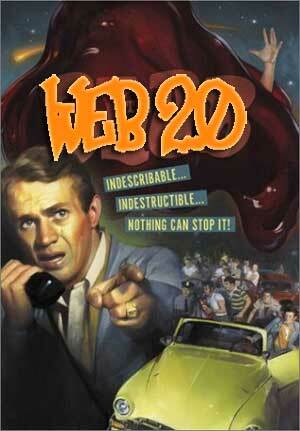 Print, radio, TV, web, mobile and games – he was everywhere. New media fed off old media in an endless but consistent recycling of the message of Hope and Change. It was this willingness to engage online and harness the Yes We Can-ness of the many that has ushered in America’s first Multimedia President. The shiny digital machine in the Obama’s powerhouse campaign was My.BarackObama.com or affectionately called MyBO by fans (and now possibly to be succeeded by Change.gov). Commandeered by new media advocacy company Blue State Digital, comprising four alumni of Howard Dean’s failed but praised 2004 online campaign, the skills of 24-year-old Chris Hughes, co-founder of Facebook, and the genius of strategist David Plouffe, MyBO showed the way on how to organize voters and raise money online. Such was its success that all future presidential hopefuls must look to MyBO if they even want to get a whiff of the Oval office. For the net generation, McCain’s, Palin’s and even Hillary’s early accusations about their opponent’s “inexperience” was incongruent with the mature way Obama’s campaign conducted itself online. McCain’s admission that he doesn’t use email, and his inability to articulate his plans for the Internet generation, didn’t endear him to the wired and the wireless. Both young and old, including a 106-year-old, found him wanting online. The “generational shift” was clearly evident in Obama’s multi-pronged, multimedia approach. The campaign’s viral videos, text messages, email blasts and online advertising, organizing and solicitation for funding was unprecedented. Grassroots fans added to the mix through mashed videos, blog posts, wall posts and twitter updates echoing in the cyber chamber of the Obamania lovefest. Even Obama girl (above) claims credit and wants an invite to the inauguration. 1. Viral videos: The Obama campaign uploaded over 1,821 videos on their YouTube channel over the course of two years with views upwards of 18. 4 m and subscribers at 114,559 by Nov 4 compared to 329 videos on McCain’s channel and with 2m views and a paltry 28,419 subscribers. (Source: Jeremy Owyang). Among the more popular Obama videos were: A More Perfect Union speech (when he denounced Rev Jeremy Wright), Yes We Can speech in New Hampshire, Dancing with Ellen and the Iowa Caucus victory speech. Hot videos from the Obama fan-base were embedded on blogs and Facebook walls and enjoyed healthy circulation including will.i.am’s Yes We Can (21.4 m views, Source: Viral Video Chart), I’ve Got a Crush on Obama by Obama Girl (11.3m views) and the Hillary-Apple 1984 mashup (6.3m views). 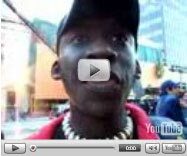 Derrick Ashong enjoyed his 5-minutes of fame (1.08m views) when he was picked out in a street interview as the “Clueless Black Guy” and stunned the arrogant reporter with his articulate replies. Ashong then went on to expand his views online and even scored an interview with the New York Times. 2. Raising Money Online: The Obama campaign’s bottom-up strategy raised US$650 million from some 3.1 million donors. Nearly half of that sum were from those who gave less than US$200 compared to 34 percent for McCain. Blue Digital estimates that by July 2008, the campaign had raised more than US$200 million from more than a million online donors. Obama’s online fundraising, with its constant email prodding of small donors, was a game changer. It gave the campaign enough confidence to forgo the federal funding cap of US$84.1m which McCain’s campaign took and was crippled by. In September alone, Obama raised a record US$150m – a figure Palin’s makeover specialist might have salivated over. 3. Social Networks: The tools on MyBarackObama.com was based on rebuilt versions of those created for the Howard Dean’s 2004 campaign. But four years had changed the social networking landscape with millions more familiar with blogs, MySpace, Facebook, Friendster, Meetup.com and various online activism tools. MyBO not only enabled supporters to donate money and distribute media but it empowered them to find, convince and canvas other registered voters among their neighbours. 4. Fighting Smears: Accused of being a socialist, a closet Muslim, an Arab and “palling around with terrorists”, Obama’s campaign launched its own FightTheSmears.com site, not unlike Coca-Cola’s Facts and Myths. But a vigilant press, perhaps still smarting from missing WMDs and the 2004 Swift Boat Veterans debacle, fact-checked every claim. 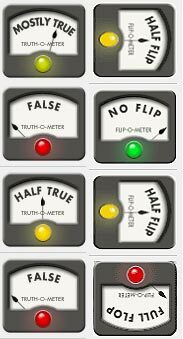 The St Petersburg Times’ website PolitiFacts.com and its Truth-O-Meter and Flip-O-Meter kept popular graphical scorecards of the specific candidate attacks and rated them accordingly. Eg: A chain email accusing Michelle Obama of ordering US$400 worth of lobster and caviar at the Waldorf Astoria complete with receipt was given its lowest rating: Pants on Fire. 5. Online Coverage: Websites such as The Huffiington Post, Talking Points Memo, Daily Kos and Politico.com came into their own, feeding off old media but providing juicy bits to counter the MSM. Although it reached only a few, the app may be the harbinger of the future. ObamaMobile allowed users to take a look through their contacts, and organize them by key battleground states, making it fast and easy to reach friends during the campaign. It also anonymously reported how those calls initiated in the app and relayed the info back to the Obama campaign. 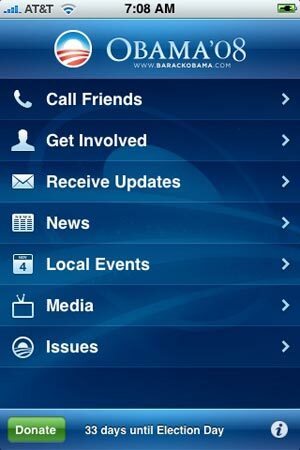 “Get Involved” utilized the location capabilities of the iPhone to provide the address of the closest Obama HQ, complete with a link to Google Maps, while “Local Events” informed users of events they could participate in. The Obama campaign also sent out an SMS to 2.9m mobile users who signed up to be the first to know of his VP selection. It instantly created a mobile phone database that the campaign could exploit. 7. Twitter updates: Twitter is quickly becoming the defacto 140-character news alert tool for media companies. Twitter updates were rife during the elections with 122,000 followers @barackobama alone. The constant stream provided at election.twitter.com was addictive suggesting a live microblogging platform may be a mainstay in the future. 8. Tech plan: Unlike McCain, Obama had a clear blueprint on his plans for technology in both video and PDF format at his campaign website. Although tech hardly came up as an issue in the campaign, Obama collected US$1.44 million in donations from employees at the 20 largest Silicon Valley companies. His tech policy promises pandered to the Google-loving crowd and included: Net neutrality, broadband access for all, doubling the federal funds in basic research, re-establishing the National Aeronautics and Space Council scrapped by Bush, creating a technology-based curriculum for schools, and increasing H-1B non-immigrant visas needed to recruit foreign guest workers. It seems likelier that some of these ideas may come to fruition if Obama stays for a second term. 9.New voters: A voter registration boom through Vote For Change, Rock The Vote, various online registration websites, and celebrity get-out-and-vote videos may have favoured Obama. 10.Media Coverage: CNN’s John King and his Magic Wall, a Perceptive Pixel multi-touch device first demo-ed by Jeff Han at the TED Talks may not have persuaded voters to swing red or blue, but the tech for tech sake showcasing by various broadcast media had its appeal for those listening to the Change mantra. 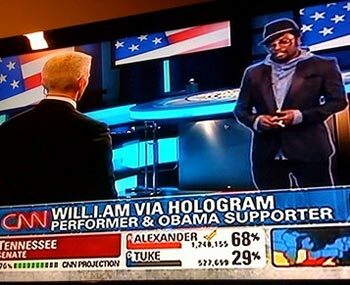 On election night, CNN’s Holograms and Virtual White House definitely scored points for those wanting flashier 3D visualizations and who grew up on either Star Trek, Star Wars or The Matrix. It seemed fitting that the choice of beaming will.i.am, a black singer onto a stage predominantly filled with white analysts, would shortly herald the United States of America’s first digitally-savvy president of colour.